Peter Degraves (1778–1852), an engineer who had also studied architecture and the law, is best remembered as the founder of the Cascade Brewery in Hobart Town, but the pioneer industrialist was also a sawmiller, flour miller, shipbuilder, and backer of the Theatre Royal, now the nation's oldest theatre. Degraves, accompanied by his wife and eight children, was 46 when he arrived in Hobart from England in his own ship in 1824. 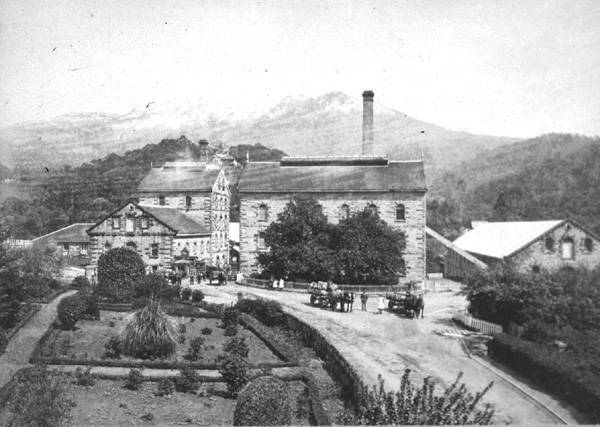 He brought with him sawmilling equipment and was granted 2560 acres on the lower slopes of Mount Wellington, where he set up his sawmill and later established the brewery, which occupies the site to this day. Degraves, a shareholder in the plan to build the Theatre Royal (1837), paid for the entire construction and remained its owner until his death.